My daughter LOVES Baklava. 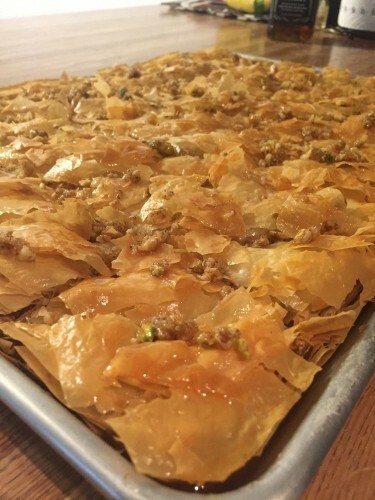 So in honor of my sweet tooth girl, here's a recipe for Baklava! Enjoy! And special thanks to A Girl With An Adventurous Fork for this great recipe to share. Oh my favorite desert, I’m luck that my mother makes this during the holidays every year. It takes some time to make but is so worth it.